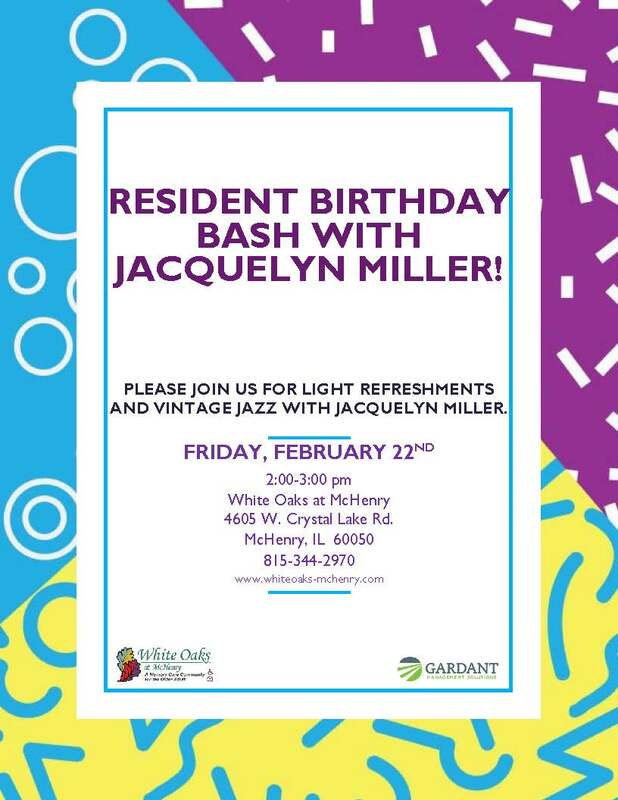 White Oaks at McHenry is hosting a birthday celebration at 2 p.m. on Feb. 22. The community, which is designed to serve older adults with Alzheimer’s or related dementia, is located at 4605 W. Crystal Lake Road in McHenry. Guests are invited to join residents and staff to celebrate White Oaks residents who were born in February. Light refreshments will be served, and Jacquelyn Miller will perform vintage jazz. The event is open to the public. There is no charge to attend. For more information about the event or to reserve your seat, call 815-344-2970.